Without a doubt, certain trends pass through, disappearing in a season and re-emerging years later in the form of some new inspiration. However, in our world, the only trends worth investing in are the ones that are a trend for being themselves, i.e. for being a classic and hardly tempting any more. Exclusively from our inventory, these pairs of shoes are investments that will stand the test of time, trend or no trend at all. 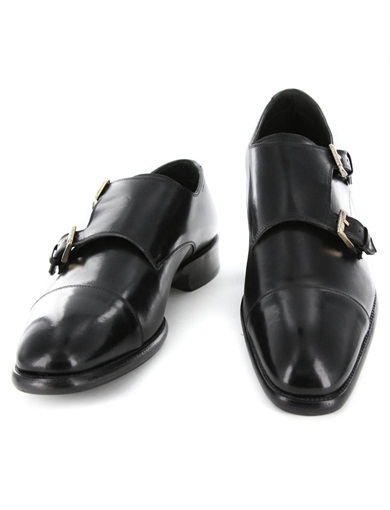 There’s the single and the double monk strap and we tend to prefer the double. While these shoes may currently be experiencing a resurgence of popularity thanks to streetstyle blogs like The Sartorialist, we assure you these powerful kicks have been on our radar for more than just a few seasons and aren’t going anywhere anytime soon. A classic proved by its legacy and its style strength. 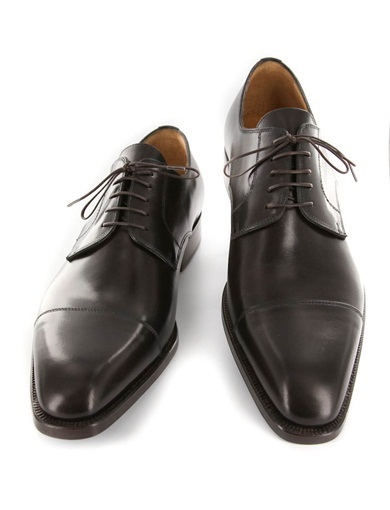 A staple of any well-dressed gent’s wardrobe, this pair from Sutor Mantellassi is well cut with the stitched toe, timeless with the thin laces and in the not quite brown nor black, this deep chocolate shade is the right color for matching to any suit. All images are our own. See our website for more. Stay tuned for Part 2 of our Footwear Essentials next week! Posted in Sartorial Soles and tagged classic, investment, shoes, timeless. Bookmark the permalink.